Explained: Why is the world angry with Facebook? 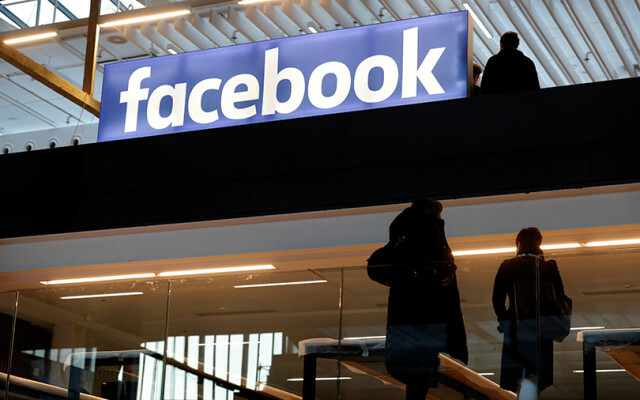 Social networking giant Facebook has come in for severe criticism over the past week in connection with an alleged data breach on its platform which affected 50 million of its users. Earlier this week, a whistleblower claimed that Cambridge Analytica, a London-headquartered political consultancy and data analytics firm, had used data collected from millions of Facebook profiles to gain an understanding of American voter behaviour. The information gathered was then allegedly used to send targeted advertisements to American voters in 2016 urging them to elect Donald Trump, who eventually won his bid for the US presidency. Most data analytics firms consult publicly available data. The fact that Cambridge Analytica accessed Facebook data allegedly without authorisation has landed both parties in hot water. Lawmakers in both the US and the UK are now looking into the matter. British lawmakers suspect the data may also have been used to influence the 2016 referendum in the United Kingdom, where voters chose to leave the European Union. What is Cambridge Analytica and who are the people behind it? The data analytics company is affiliated to Strategic Communications Laboratories (SCL), a UK-based firm, which according to its website provides data, analytics and strategy to governments and military organisations worldwide. It has participated in over 25 international electoral campaigns since 1994. Around six years ago, SCL entered the US and set up Cambridge Analytica, which received a grant of around $10-15 million from hedge fund billionaire and Republican party donor Robert Mercer, who partly owns the firm. The whistleblower, Christopher Wylie, was among its employees. The firm was led by Alexander Nix while Steve Bannon, a former White House chief of staff under Trump, once served on the company's board. How did Cambridge Analytica access Facebook data? A key figure in the controversy is Aleksandr Kogan, a psychologist and academic at Cambridge University. Kogan ran a personality testing app on Facebook called thisisyourdigitallife, which had more than 270,000 downloads. Users of the paid app were told it was for academic purposes. Cambridge Analytica initially provided $1,000 to run Kogan’s app on 1,000 Facebook users. After a successful pilot, the firm gave Kogan $10,000 for a second round of testing, which gave them access to user data of millions. Since Monday, Facebook has lost nearly $50 billion in market capitalisation. Angry users have created a hashtag #deletefacebook, urging people to delete their accounts. Brian Acton, the founder of messaging service WhatsApp which is owned by Facebook, has supported this action. Alexander Nix, Cambridge Analytica's CEO, has been suspended after a British TV channel produced footage of him boasting about getting Donald Trump elected. Internet company Mozilla Corp said on Wednesday it was suspending advertising on Facebook over concerns of data privacy. Facebook’s policy allows data to be collected only to improve user experience but not to be sold to advertisers or used for commercial purposes. In a Facebook post on Thursday, co-founder Mark Zuckerberg said that the platform had banned Kogan's app in 2015 and demanded formal statements from the researcher and Cambridge Analytica that they had deleted the data acquired. However, The New York Times and The Guardian found that the data was still accessible even in 2017 and that it was only last week, hours before the whistleblower's allegations were made public, that Facebook banned Cambridge and SCL from its platform. “This was a major breach of trust. I’m really sorry this happened. We have a basic responsibility to protect people’s data,” Zuckerberg said in an interview with CNN. He said the social network planned to conduct an investigation of thousands of apps that have used Facebook’s platform, restrict developer access to data, and give members a tool that lets them to disable access to their Facebook data more easily. Is there an India link? IT minister Ravi Shankar Prasad said on Thursday that he was open to the idea of launching an inquiry into whether Facebook had unfairly influenced elections in the country. He also said that action would be taken, including summoning Zuckerberg to India, if it was found that the data of Indian users had been stolen. The issue has also triggered a political slugfest with the ruling Bharatiya Janata Party and Congress accusing each other of having links to Cambridge Analytica. According to NDTV, Ovleno Business Intelligence is the Indian affiliate of Cambridge Analytica and is headed by Amrish Tyagi, the son of KC Tyagi, a Janata Dal (United) leader. The website, before it was suddenly shut down on on Wednesday, claimed to have influenced Indian elections. One of its directors is said to have worked on four Indian elections. Cambridge Analytica’s website shows that it had worked with the victorious BJP-JD(U) alliance in the 2010 Bihar elections.